Joe Don Rooney, Gary LeVox, and Jay DeMarcus of Rascal Flatts perform onstage during day 2 of the 2017 CMA Music Festival on June 9, 2017 in Nashville, Tennessee. After several fans complained on social media that country group Rascal Flatts didn’t perform an encore Thursday night in Indiana, the band revealed there was a “security concern” during the show. The Hamilton County Sheriff's office confirmed an investigation was underway and that Live Nation staff were informed by law enforcement of a "safety issue." The venue could not immediately be reached for comment. “Looks like it was a big security/safety issue,” one user wrote. 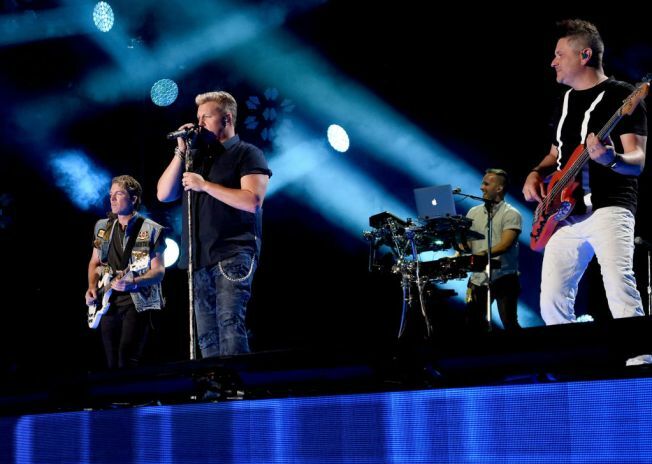 “Everybody boo’d in Indy when @rascalflatts didn’t do an encore, but hearing from security – I’m so thankful they chose safety over an encore,” one tweet read. The band is set to perform at the Hollywood Casino Amphitheatre in Tinley Park Friday. Paid for tickets, gas,Drove 3 hours, bought a shirt and no encore? Upset. Whats up #rascalflatts ? @rascalflatts: Indy needs an explanation about this non-existent encore.